There is nothing like the flavour of your own home grown, pasture raised pork! This guide is for those that just want to raise a pig for the home freezer and not intended for those that wish to make a business of pig production. 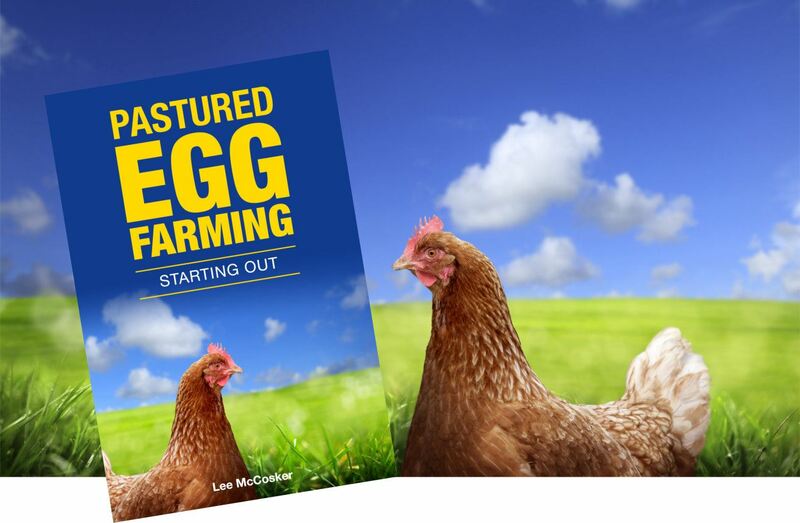 If you are seeking information on how to raise free range pigs on a commercial level, take a look at one of our books. Before you get started, ensure that you are able to keep pigs on your land. Check with your local council or authority and in Australia, you will need to be zoned for Primary Production or zoning that allows farming to begin with, (Rural 1a or RU1) but individual Councils may have special requirements. Check with them first. When your piglets first arrive they will be fairly small. Consider that in the design of your pen. It would be best to keep them in a smaller area until they are familiar with you and your routine. Small pigs will need either solid fences or mesh small enough to prevent escape. 'Rio' (used in concrete foundations) will not do as the squares are too large. Sheep or gate mesh is ideal or 8|15|90 pig hinge joint fencing. The piglets will need a dry sleeping place that will protect them from the weather. Contrary to popular opinion, pigs do not like to live in mud. They will wallow to keep cool and coat themselves for protection against sunburn but they do not do well in wet, cold conditions that will also invite disease. If you decide to keep your pigs in a cement floored pen, you will be closely mimicking intensive farming practices and this will impact on the flavour of your pork. For best results give your pigs a small paddock with pasture or planted crops to eat. Plan ahead. Have the paddock planted before the piglets arrive. Letting them graze will not only improve the flavour of your pork, it could cut down on the amount of feed they will need. You may also be able to collect fruit and vegetables or bread from your local stores to supplement the pigs diet and keep costs down. Don't make this the only source of nutrition though or you will end up with very fat, slow growing pigs. 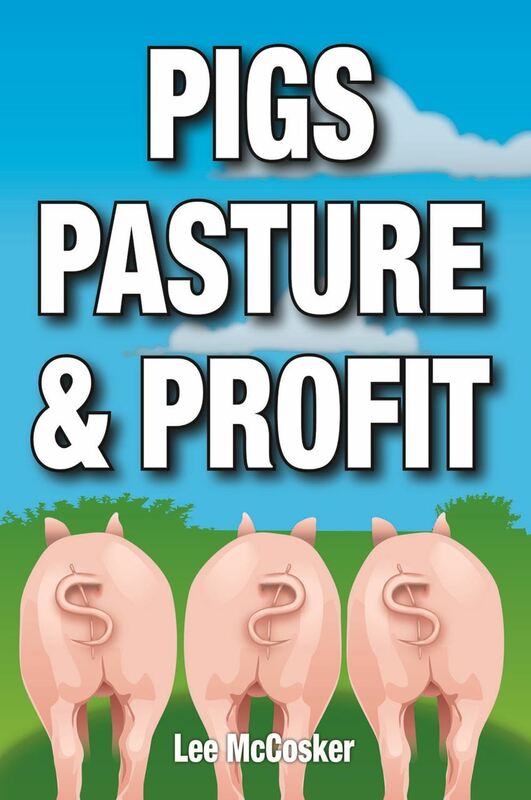 For more information on feeding pigs, purchase a copy of Pigs, Pasture & Profit or check out of feeding pigs page. Eggs are a great food for pigs and they love them. Dont feed too many though, 2 to 4 depending on the size of the pigs. Check if you are able to feed eggs in your state. You must not feed restaurant or table scraps to pigs. This is called swill feeding and is illegal in Australia and many other countries. You cannot feed any meat products to pigs (apart from commercially prepared meat meal) or imported diary. You must also prevent your pigs from consuming dung from other animals and dead carcasses of any kind. Make arrangements with your butcher before you send your pigs to the abattoir. Ask them which one they use. In Australia you will need to have your pig branded and accompanied by a Vendor Declaration NVD (PigPass) If you only raise a pig occasionally, contact your local Land Services office (Rural Lands or other depending on where you live) for an emergency NVD and crown brand. 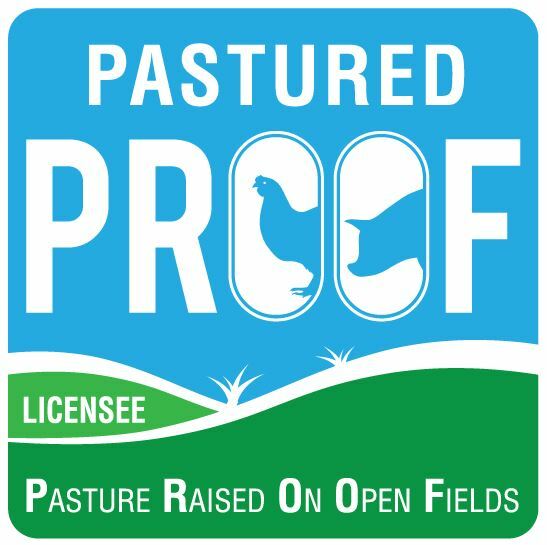 If you are planning to do this on a regular basis, you will need to register to purchase the PigPass books and also register with Land Services to purchase a slap brander. In the section on the Pigpass that asks for QA details, simply write 'home kill'. There is more information about selling pigs here. Many butchers do 'home kills' and include the cost of slaughter and transport in the per kilo rate. 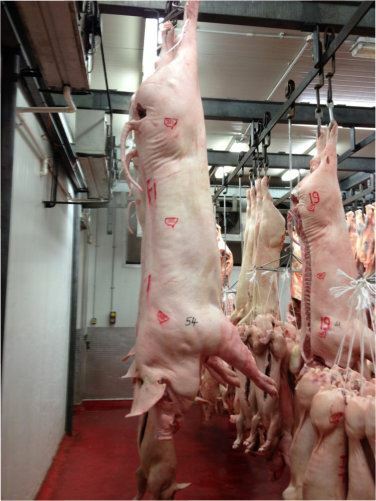 They will charge on the dressed weight (after slaughter), not on the amount of pork you end up with. Of course you can ignore the last two costs if you are prepared to slaughter and butcher the pig yourself. This is not recommended if you have no experience. It is much more convenient and welfare friendly to have it done professionally. Your live, 75kg pig will dress at about 50kg. The yield (amount of meat you will get) will be between 55 - 60%. So, you will end up with about 30 kg of pork, roasts, sausages ham and bacon for your efforts. This means you will pay around $13.00 per kilo for this meat when all is said and done. Raising a pig for meat will not be much cheaper than buying it from a super market, but, it will be a very different product! The flavour will be exceptional (if you allowed the pigs to graze) and you are in control of any treatments or drugs that you would prefer not to have in your pork. Your pigs will grow naturally and build muscle running around and playing instead of needing the aid of growth promoters and hormones. You will also get to know one of the most intelligent, funny animals you will ever meet. Worth the efforts? We think so! If you want to learn more about dealing with abattoirs, butchers and authorities and just want to raise a few pigs, check out our events page below for the Small Scale Pig Keeping Workshop. Would you like a FREE copy of our pig farming ebook?